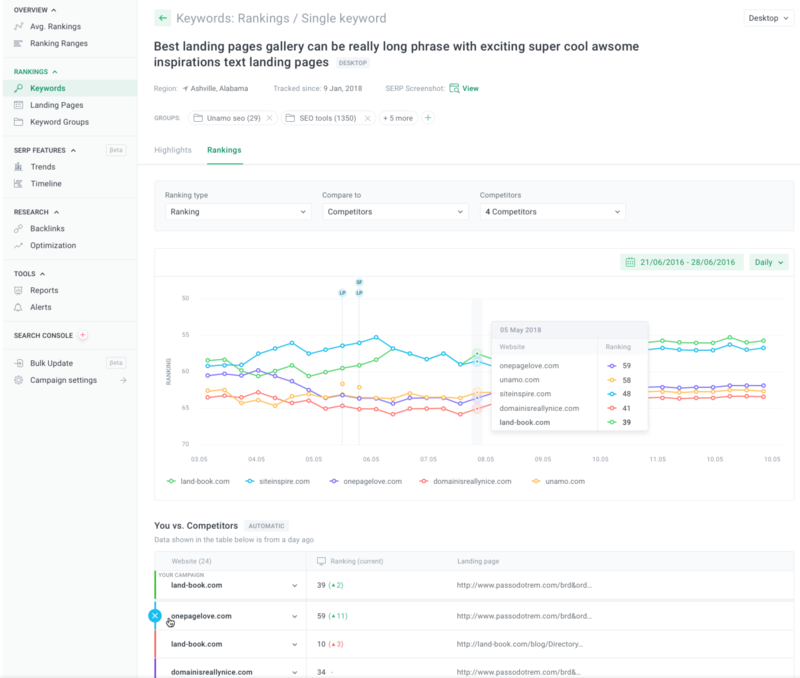 Unamo gives you an opportunity to monitor your keywords and their rankings over time. 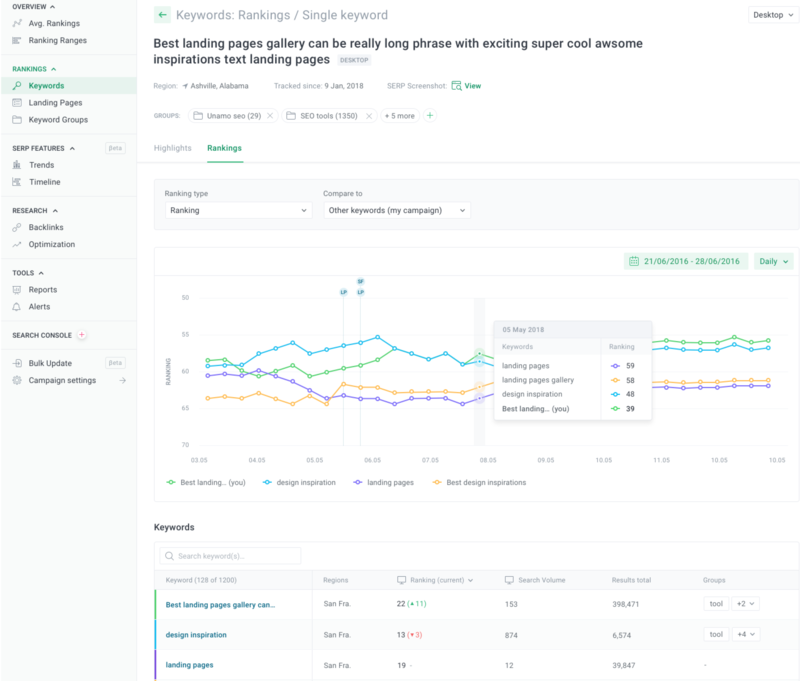 What's more, you can also take a closer look at the performance of a single keyword and investigate what might have impacted any changes to its ranking, like sudden spikes or drops. All of this can be done via Keyword Summary. Keyword Summary is accessible by clicking on any single keyword, e.g. in the Rankings-Keywords Section. Once you land on this view, you have the option to navigate between Highlights and Rankings. See key metrics for the keyword, like Average Ranking, Search Volume, Estimated Traffic, Results Total. Note: Visibility Ranking and Pixel Ranking that you can see above are alternatives to traditional rankings. These features are in beta right now and are not available to everyone. As across Unamo, the view might be viewed from the desktop or mobile perspective (if enabled).